ShapeShift is a digital asset exchange but it’s not like most exchanges, where you can deposit, trade, and withdraw funds. 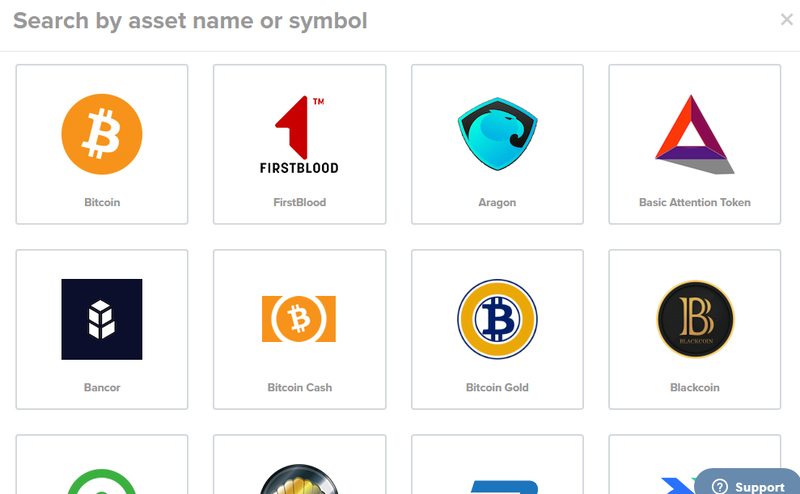 It’s a simplified “asset-swap” site where you send one crypto asset and receive another. Think of it as a “currency converter”, like those you see in tourist locations – only without the painful fees! This guide will walk you through the two available ways to exchange assets and point you to some of the site’s other resources. ShapeShift doesn’t use accounts or registration. 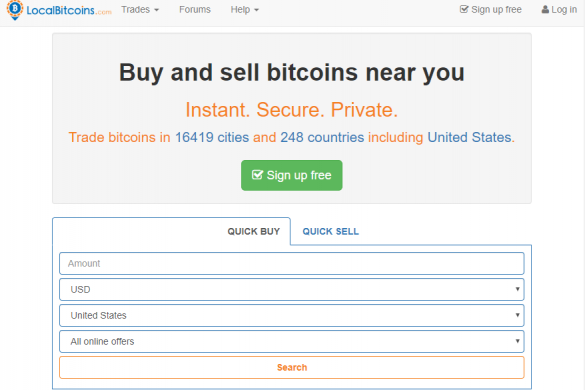 Simply visit the main page, choose your assets and follow the prompts for a completely anonymous exchange. Similarly, there are no deposits or withdrawals – you just send and receive. ShapeShift offers Quick and Precise exchanges. A Quick exchange waits for you to exchange as much or as little as you wish. The exchange rate fluctuates but there’s no time limit on sending your assets, and you can re-use the deposit address as often as you like. A Precise exchange allows you to enter the amount you wish to exchange or receive, allowing for exact transfers. 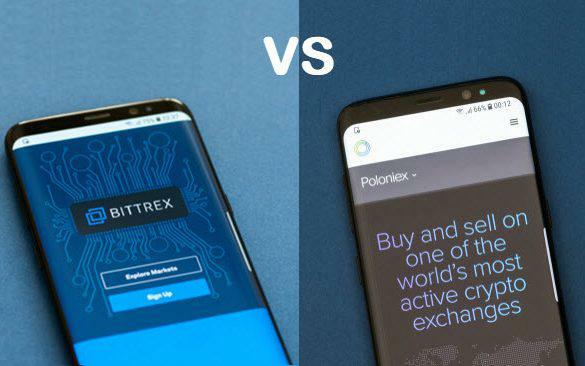 Precise exchanges give you a better (fixed) exchange rate and a higher deposit limit, but they have a five-minute time limit for sending funds. Make sure the Quick option is selected. 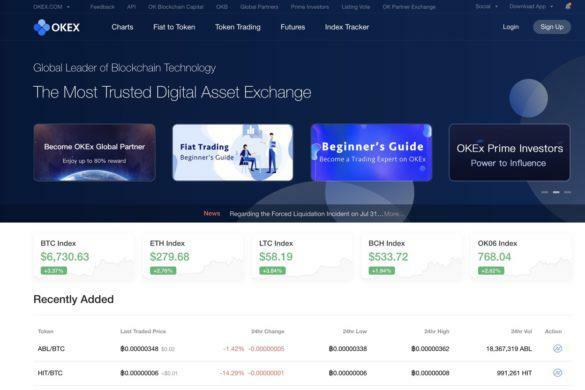 Click the asset on the Deposit side to show the current list of cryptos you can exchange – there are 48 available at the time of writing, with more in the pipeline. Click the asset you wish to exchange (or “sell”). There’s a search box at the top for ease of use. 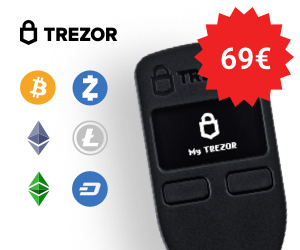 Back at the main page, click the asset on the Receive side and follow the same procedure to choose which crypto to receive (or “buy”). 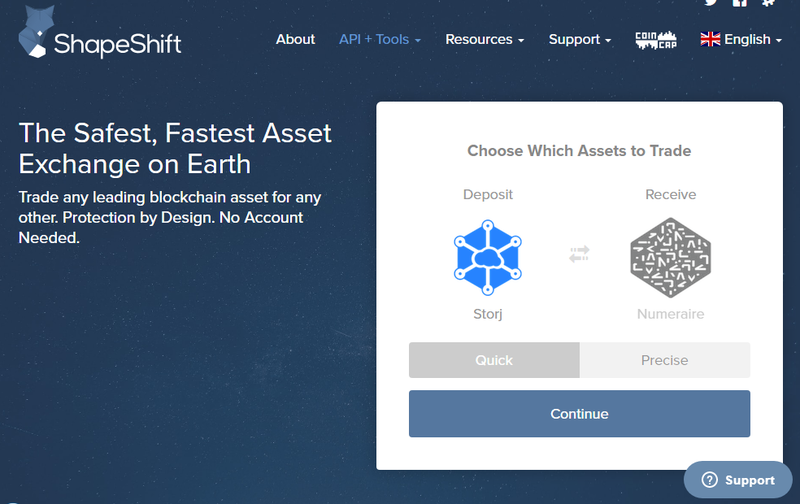 ShapeShift shows you a summary of the transaction: the exchange rate, the minimum and maximum amounts you can exchange, and the site’s “mining fee”. Paste your sending and receiving wallet addresses into the form, accept the terms (after reading, of course! ), and decide if you want the site to remember your deposit address. Note that you can click the assets on this screen to change your choices. 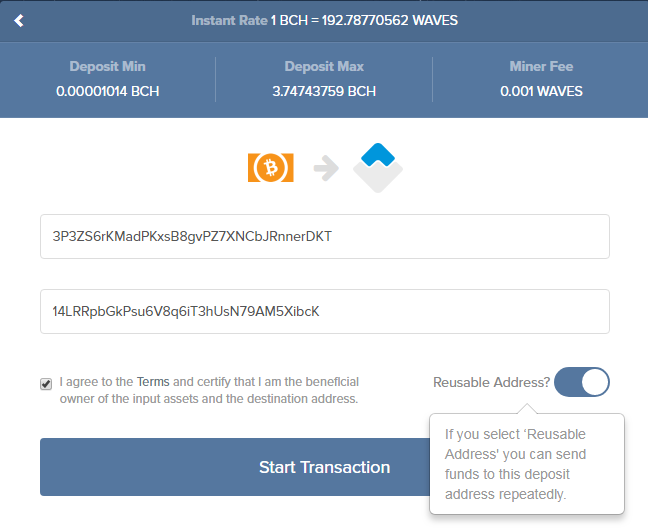 All you have to do now is send your funds (BCH in this example) to the address shown at the top of the screen. ShapeShift sees when your funds arrive and sends you your new asset. Make sure the Precise option is selected, then choose your assets as before. 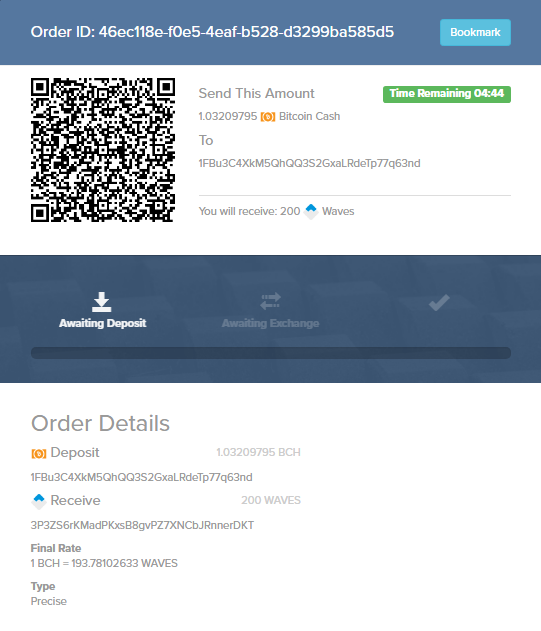 ShapeShift shows you a summary of the transaction, as before. The main difference – apart from a better exchange rate – is the “amount” boxes. Paste your sending and receiving wallet addresses into the form, then enter how much you wish to send or receive. 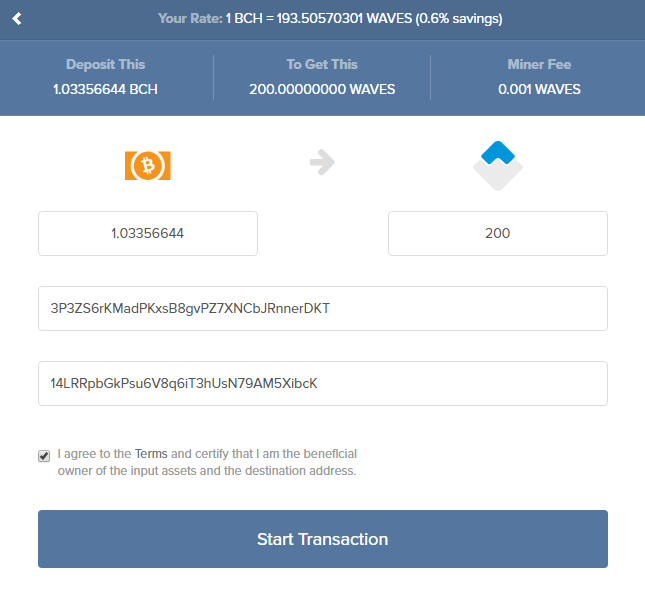 In this example, we’ve asked for 200 WAVES; the form instantly calculates the BCH cost. 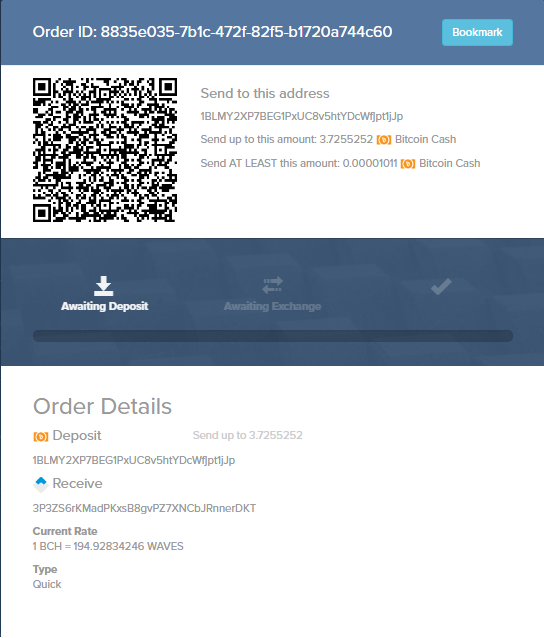 Once again, ShapeShift shows you a transaction summary with deposit instructions. Remember, you only have five minutes to send your asset, and the clock starts ticking immediately! ShapeShift offers a variety of tools, including a mobile app for exchanges, a full API, and resources for merchants to integrate the exchange. 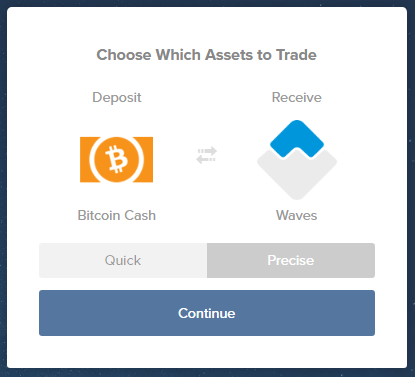 At its core, ShapeShift is an innovative, simple exchange for anyone who wants a quick asset-swap. 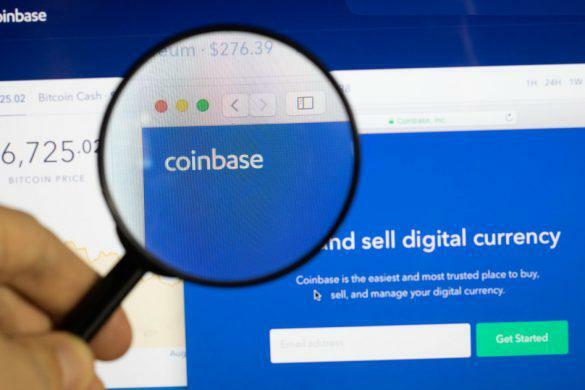 However, with its plugins, tools, and API, it also opens the door for businesses and individuals to manage their crypto assets simply and quickly.